Previously, possessing, growing or using cannabis in Zimbabwe was illegal, and could come with sentences of up to 12 years in jail. 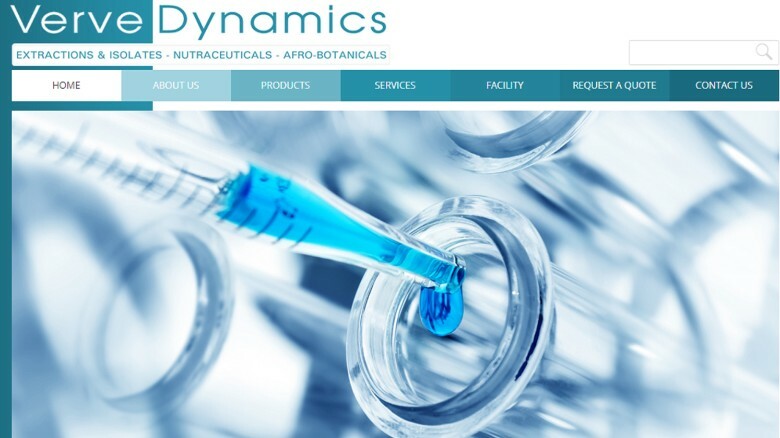 The government has now signaled its intentions to bring the business out of the shadows by awarding the first license for cultivation and sale to South African alternative medicine company Verve Dynamics. Zimbabwe has just legalized growing marijuana for medicinal and research purposes — and several other African governments are considering tapping into the lucrative natural resource too. African governments have not yet followed the trend of legalization seen in Europe and the Americas. However last year, Lesotho became the continent’s first country to offer legal licensesto grow marijuana, signaling a wider shift toward more liberal policies. 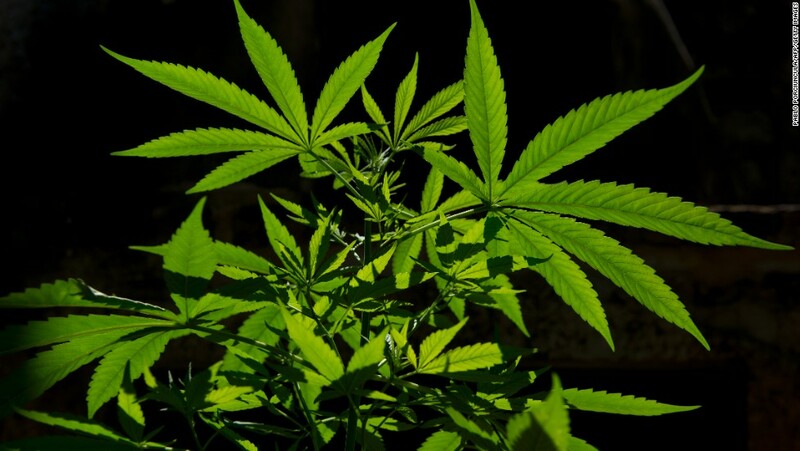 The southern African country has become the second nation on the continent to legalize the production of marijuana for scientific and medicinal use. Known locally as “mbanje,” Zimbabweans can now apply for a license to cultivate marijuana. The renewable license permits companies and individuals to produce marijuana for five years. The tiny, landlocked nation has few natural resources. But Lesotho is a giant of the marijuana trade. “Cannabis is grown almost everywhere in the country,” a UNESCO report found, noting the industry is a leading contributor to the economy in a country plagued by poverty. Much of this comes through illicit trade with Lesotho’s larger, richer neighbor, South Africa. However, no formal steps have been taken to legalize or regulate the vast network of existing farmers and traders. South African alternative medicine company Verve Dynamics will cultivate medical marijuana in Lesotho. The North African state is famous for its hashish and is second only to Afghanistan as a producer of the substance, according to the UN Office on Drugs and Crime (UNODC). The trade employs at least 800,000 people, according to Bloomberg, and is worth $10 billion a year in sales. Such dizzying numbers have underpinned a growing movement for legalization. 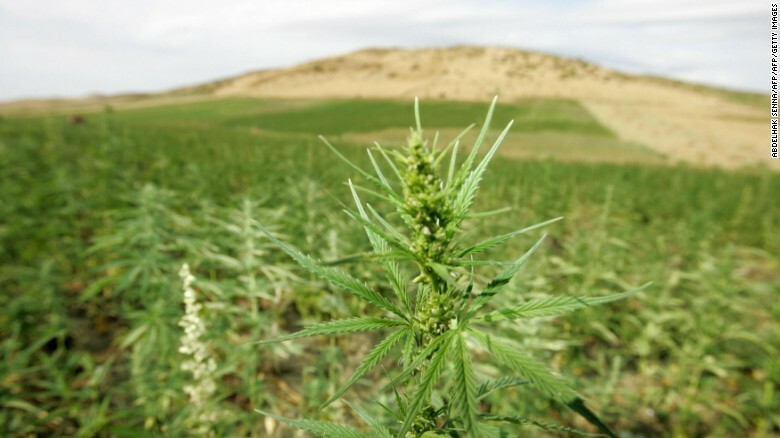 In 2014, an opposition party in the Moroccan parliament with close ties to the monarchy proposed a bill to legalize marijuana production for medical and industrial use. But the bill failed, and the movement suffered a further setback with the resignation of leading advocate Ilyas El Omari. There has also been opposition to legalization from conservative religious groups, and even cannabis farmers who are concerned their crop might lose value. Cannabis plantations in the northern Moroccan Larache region. Malawi is well known for the prevalence and quality of marijuana production within its borders, including the sought after “Malawi Gold” strain. The government is now cultivating hemp on a trial basis, ahead of potential legalization of the non-psychoactive cannabis strain for industrial uses such as fabric and food products. This represents a major development after a lengthy battle with drug control groups and religious leaders that fiercely opposed any softening of policy. Both advocates and critics of legalizing hemp have suggested that marijuana could be next, a longstanding demand of the country’s Rastafarian minority, which claims that smoking ‘chamba’ is integral to their culture. ‘Malawi Gold’ is among the most popular strains of cannabis in the US. Ghanaians are heavy consumers of marijuana, according to the UNODC, which is prohibited but widely tolerated. A pro-legalization campaign has been gathering momentum in recent years, with support from the former head of the Narcotics Control Board. The movement recently received another boost when the executive director of the Ghana Standards Authority suggested that state-led cultivation and export of marijuana could generate valuable income. But a vociferous backlash from government officials and mental health experts showed this will not be easily achieved. 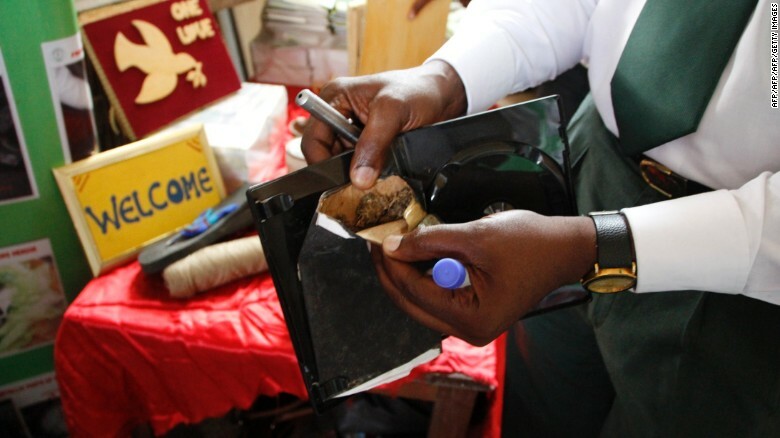 Marijuana discovered by police inside a DVD case in Accra. Prominent public figures have suggested using the cannabis crop to boost the economy, including Swaziland’s housing and development minister, while the national commissioner of police has called for a study. 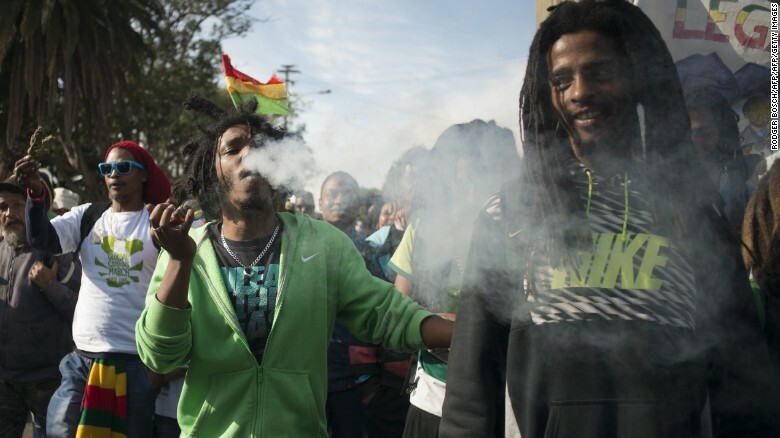 Campaigners in Cape Town march for the legalization of marijuana. One of the continent’s largest economies is also among its leading markets for marijuana, or “dagga” as it is locally known. South Africa produces around 2,500 tons a year, according to a UN report. Several legal battles are ongoing over the future of the drug in South Africa. The Dagga Party won a landmark ruling this year to permit smoking in the home on privacy grounds, without changing the legal status of the herb. The so-called “dagga couple” Julian Stobbs and Myrtle Clarke are going further in seeking the right to grow and consume marijuana, which could establish a far-reaching precedent. The South African government has already published guidelines for medical marijuana, paving the way for legal licenses. But medical authorities have warned that potential health risks may not be well understood, and public access will likely depend on the outcomes of clinical trials. Between its outlaw image, controversial legal status and complex makeup — the cannabis plant contains more than 400 individual chemicals — marijuana’s action in the brain and body is in many ways a mystery. The vast majority of studies on the drug have examined potential harm, as opposed to potential benefits. Even so, some medical uses are widely accepted and others are the subject of serious research. 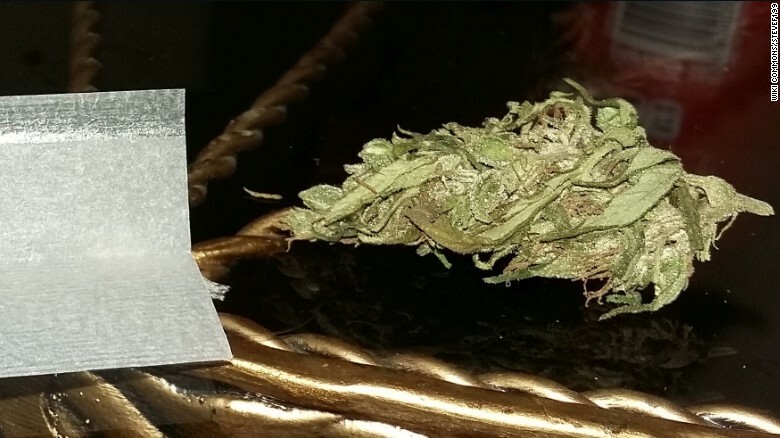 Here’s a look at some potential uses of marijuana as medicine.